James and Alana were married young. James, being very ambitious had an aspiration to become the next CEO for Microscotch Technologies Inc. In the meantime, James and Alana had three sets of twins over 15 years and just as James career began to progress nicely, there was a massive upheaval to the family. As a teenager, Alana had become mixed up with...some might say...the wrong crowd. Thinking her past wouldn't catch up to her, she was happily married to James and thought her life finally sorted itself out. Unfortunately it came back to haunt her. Framed for a crime she did not commit she was jailed for 20 years. Consequently, James was left with six very different children to raise while trying to advance in his career. GOAL: James is to raise 6 children to become healthy young adults with different jobs and reach level 10 in the business career before he passes away.  Download the whole Witt family including Alana so she is recorded in the family tree and you have the extra simoleans. You can find them under #wittfamily. Download them onto a lot of any size into a new world or evict those in an existing world. You will need the space to eventually move your children out. 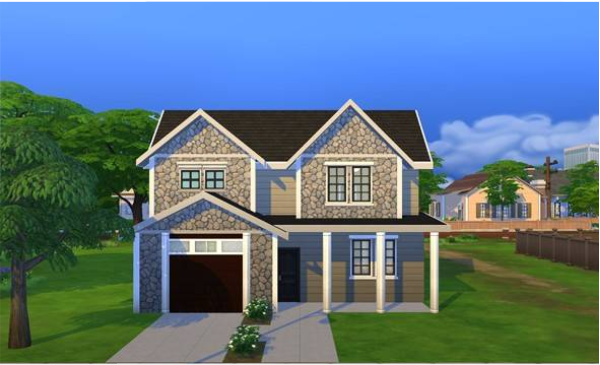  Build or download a 3 or 4 bedroom house for under $20,000. I found a good one with 3 bedrooms. One large bedroom I converted to a double kid’s room. Thank you, @blue_sky_335 for the perfect house. With minor changes it works well for this challenge. This is a picture of it. 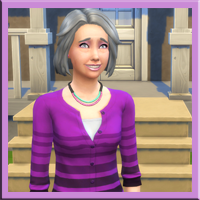  Once you have the house, go to manage worlds/manage households and separate Alana so she is out of world and then begin to play. She appears to still be there when you go back to play, but she does eventually go by walking off and disappearing. Keep her out of world as we allow her back in at the end along with her $20,000 or re-save her back into your library.  Make adjustments by adding beds, a desk and computer for James. Some fun items such as outdoor kid’s monkey bars, “creative art thou tables” TV and/or whatever you can afford. Leave yourself around $2,000 to start playing.  Get James into the business career as soon as possible. • Raise all six children to teens then young adults. Build up to and maintain an ‘A’ student level both as children and teenagers. • Get at least one skill for each child to 10 before James passes away. Add the necessary skill items as you can afford them and update the house. • Can hire services such as maids or repairmen if you can afford it. • Have James keep up the business career and promotions to level 10. He can use vacation days if it becomes necessary to catch things up. • James can retire once he has reached level 10 regardless if he is an elder or not. • James must maintain friendship with all six children. • Make a cake to celebrate each twin’s birthdays. 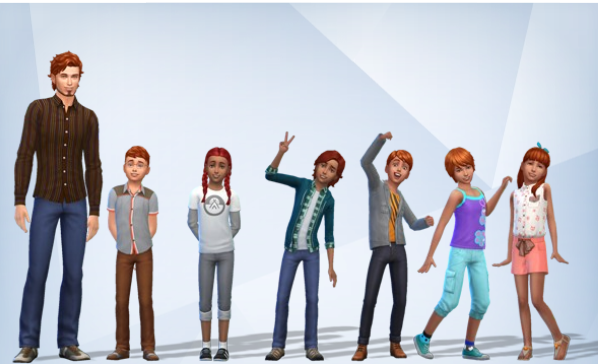 You will need to stagger these or else they will all turn into teens and young adults at the same time because I made them together. Have one set of twins age to teen at 13 days. Another set can be manually aged up a three days later and the last set a four days after. Teen – young adult = 20 days. • Get a different career for each child once they reach young adulthood. • At this point you can bring Alana back into the picture, she’s been acquitted for the crime and proven innocent. This must be before any young adults leave so she can get back in touch and become friends with her children again if their friendship has dropped off. • Once 4 of your children reach young adults, you may move them out as long as they have a career. The choice to get partners for them all is yours. • At least one child needs to stay in the house to look after their dad. • Alana need not get a career as I imagine this may be close to when they are about to become elders. They can spend their last years together. • Take Alana and James on one well-earned vacation to Granite Falls. • Create a club to keep in touch with James and Alana’s children. (optional).